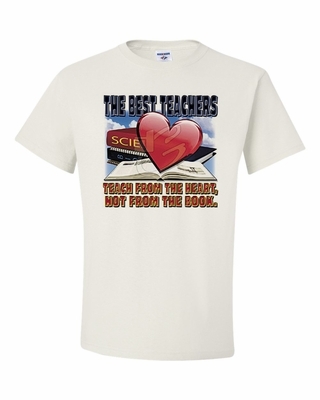 Honor your favorite and special teacher with a The Best Teachers Teach from the Heart t-shirt or sweatshirt. Show them you care! Our The Best Teachers Teach from the Heart coffee mug makes a unique gift. Remember� you found the The Best Teachers Teach from the Heart Shirts at TShirtHub.com, where high quality came at a low price.